Home >Teams Item > TaNeisha Franklin, Esq. 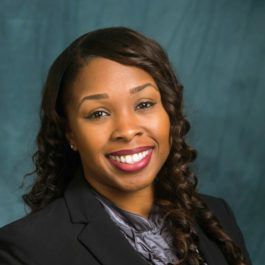 TaNeisha Franklin is an attorney at the firm of BarthCalderon, LLP. TaNeisha Franklin understands and values the importance of an effective estate planning strategy. Unfortunately, in the world we live in today estate planning is not in the forefront of anyone’s plan or an estate plan is established but never updated. TaNeisha would like to educate and expand her client’s mind about the world of estate planning and make sure that their wishes will be followed in the event that they pass away or become incapacitated. TaNeisha has spent over 14 years working for the County of Los Angeles in various capacities. She enjoys serving the public and her clients with a goal of ensuring that the population is educated about managing their lives with confidence and security. TaNeisha has established and maintained lifelong relationships with her clients and looks forward to building even more relationships while expanding her knowledge base with clients in estate planning and trust administration.